As experts of medical, logistics, financial, and security information systems, Valytics offers a full range of independent software testing services throughout the entire System Development Life-cycle (SDLC). Valytics has on staff medical experts, including doctors, nurses, and administrators, who are dedicated to the advancement of the Health IT Industry. Valytics’ functional, administrative, and management experts provide turn-key solutions for federal agencies looking to improve the management and execution of high profile initiatives. Valytics is at the forefront of formulation, implementation, and execution for Cyber Security, Information Assurance, and Security Vulnerability Assessment programs. Valytics’ “Way Cool Lab” is designed to be a proof of concept lab and innovation engine for our customers, mimicking production environments and serving as efficient test beds for new technologies, techniques, tools, and methods. 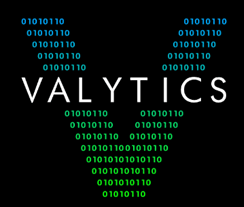 WANT TO LEARN MORE ABOUT VALYTICS LLC?